Me and My Thoughts: Strawberries!!! It was a great sunny day and lots of berries were ripe and ready for the pickin'! 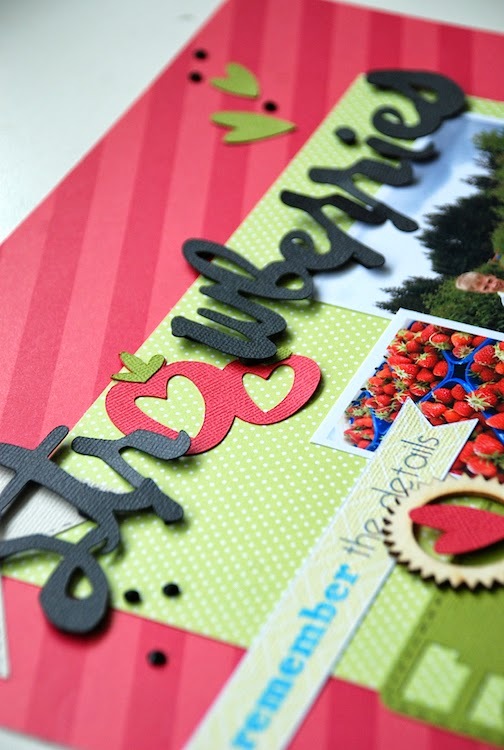 Today I'm sharing a tutorial up on the Silhouette blog about using the Adhesive Backed card stock. Here's the layout I created. 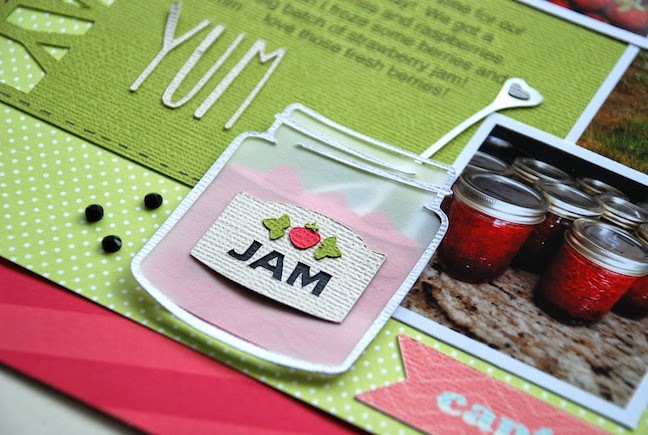 I used quite a few cut files and have been waiting for the perfect time to use the little Jam Jar cut file. This was that 'perfect' time!! 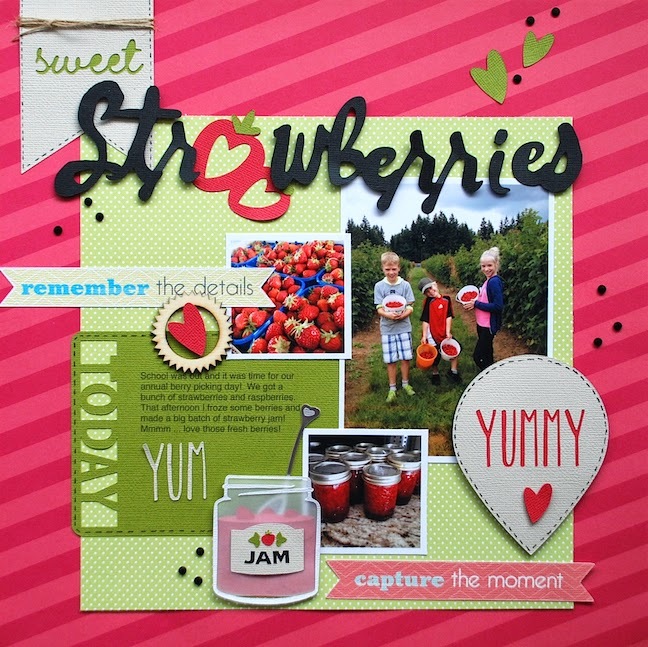 I'd love it if you hopped on over to the Silhouette blog to check out more pictures and my tutorial.